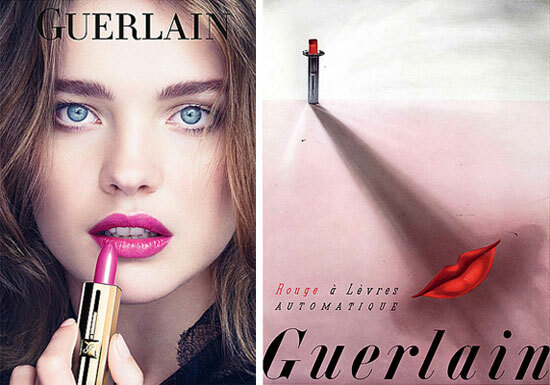 Splurge: Guerlain Rouge Automatique in Shalimar! My love for lippies knows no bounds, so I decided to stray away from my regular Mac purchases and treat myself to something luxurious! As you all makeup junkies know, when we wonder off to luxuryland, Guerlain is the Queen B! I’m a sucker for packaging and if I’m paying big bucks, the packaging has to be unique! And that’s when I came across the Rouge Automatiques! The packaging is simple yet innovative and quirky! And it has a history….who doesn’t love a bit of a back story?!! The packaging is reminiscent of the first Rouge Automatiques launched by Guerlain in 1936! 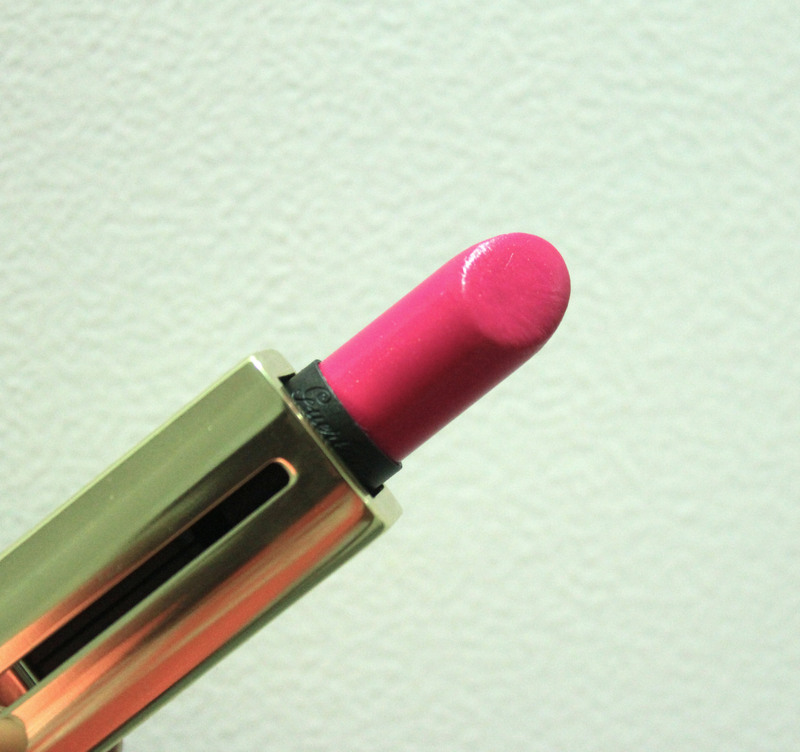 This is the first ever lipstick without a cap, requiring only one hand to apply! I find it really handy to be honest! 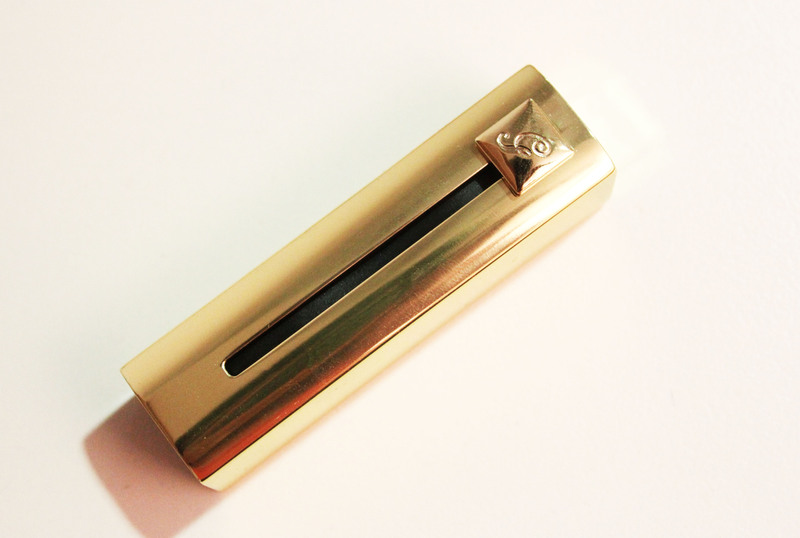 The packaging has a sliding button engraved with a G which you have to push down for the lipstick to come up….it’s just so clever and fun! And don’t worry about damaging the lipstick. 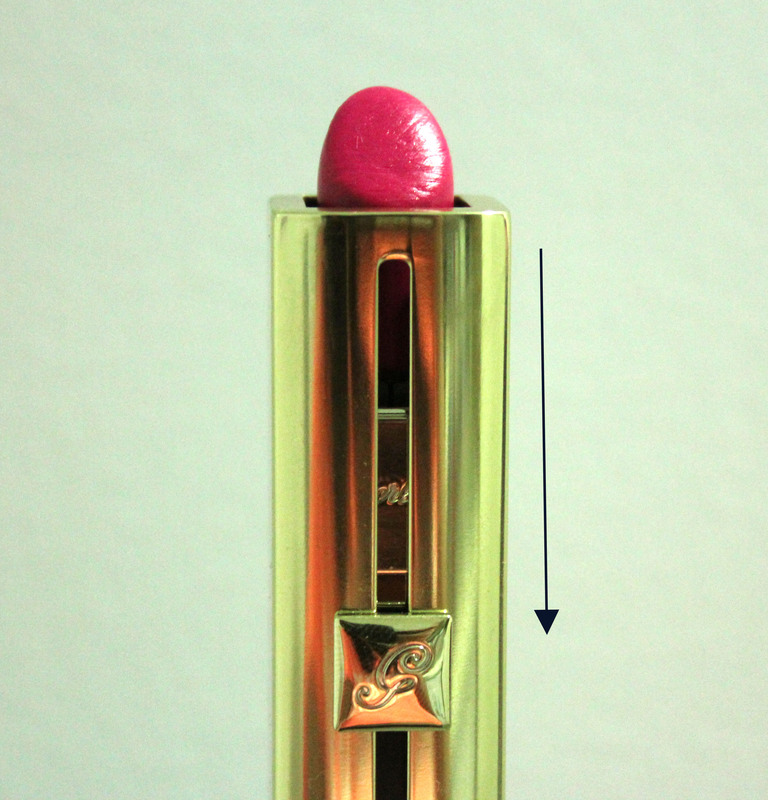 The metal flap opens completely and is out of the way before the lipstick actually comes up. Also the button doesn’t slide down easily which is also a sign of a good quality packaging. 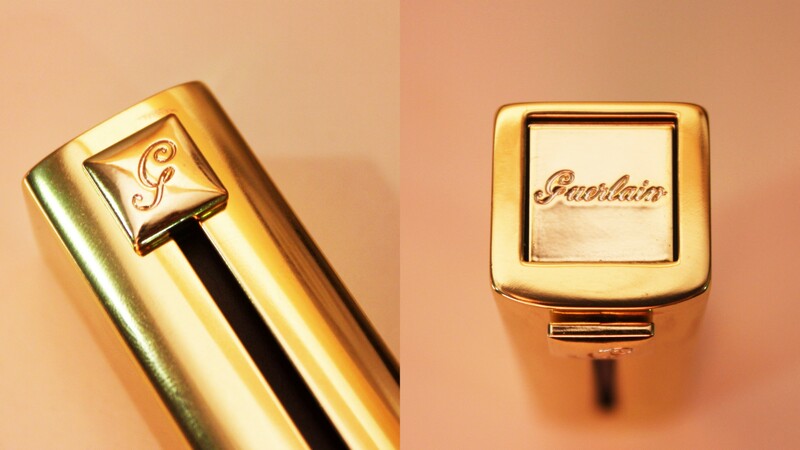 The case itself is extremely sturdy but very lightweight unlike the YSL rouge volupte lipsticks. Some of you might be disappointed with that since you are paying a hefty price. I personally really like that its light and love the gold! slide down and the lipstick comes up! Speaking of the price, these retail for $55 AUD at David Jones, Australia as opposed to $35 USD in the US. That’s not a huge difference if we compare with the the inflated prices of brands like Bobbi Brown and Mac here in Australia. So after all that rave about the packaging, let’s come to the shade I purchased. When I was looking through the colors, my love for fuschia took over and I had to pick up Shalimar (166). It is a cool- toned, blue based fuschia with subtle gold shimmers. It’s not like any fuschia lipsticks I have. When we usually think of fuschia, we think of something bright, shocking, or in your face. This on the other hand is a very subdued fuschia, which makes it really hard to dupe. The blue base is also quite muted and according to Temptalia, the color showed up warm on her. It shows up more blue on my lips than the swatch on my hand, so it really depends on your skintone, undertone, and pigmentation of your lips. The shimmers are almost undetectable on my lips. I don’t really care for shimmers anyway. The formula is semi opaque, glides on effortlessly,and it’s very shiny and glossy. 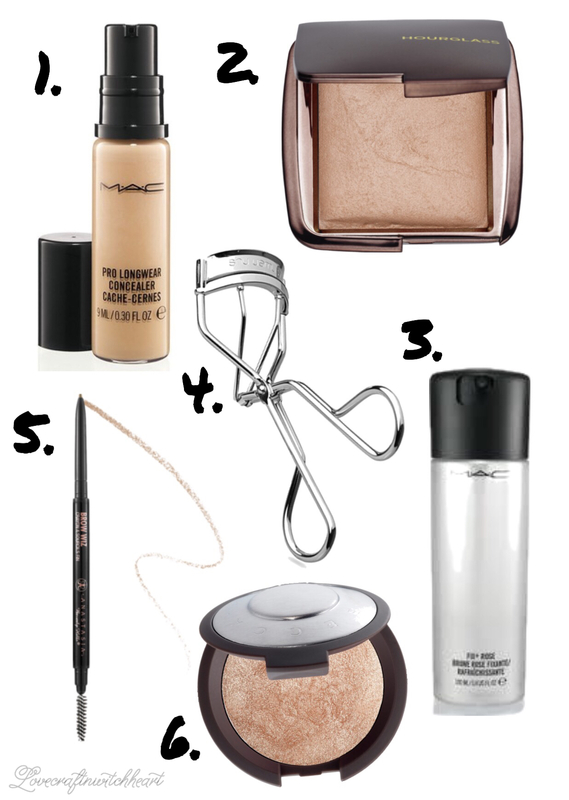 You can wear it sheerly like a gloss or build up the opacity. It gives my lips a plumped up and glossy look! Love it! Longevity is quite good considering the finish. It wore on me about 4 -5 hours. The finish had a bit of a balmy texture. 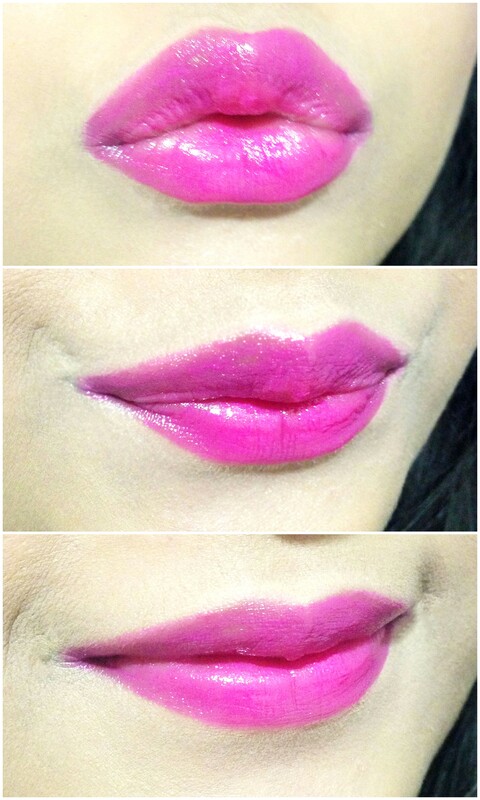 Reminded me of the Revlon Balm Stains but much more buildable in opacity and softer on the lips. Swatched on my lips! Looks a lot more blue based than the swatch! As you can see, the lipstick shows up more cool-toned and blue on my lips than on the swatch. I love this lipstick, both the color and the formula. 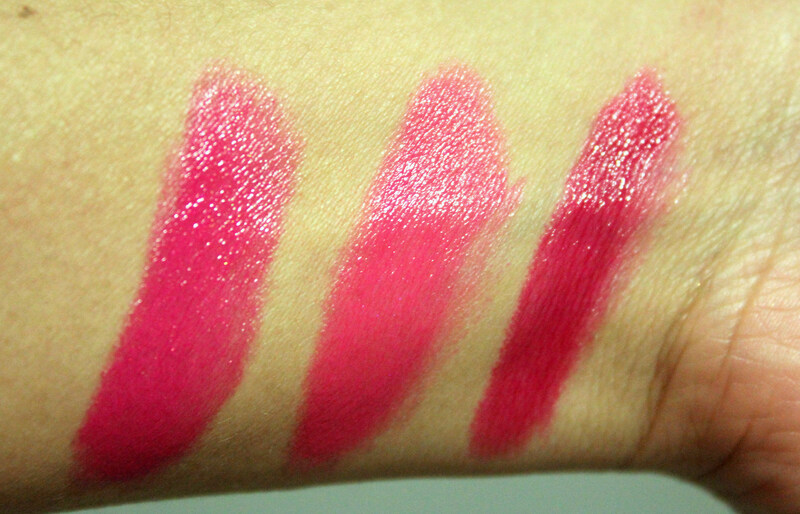 If you love juicy, glossy lips, you should definitely look into these lipsticks! I do think $55 AUD is a bit too much for it though. I have my eyes on a couple other colors: Nehema and Liu. I might just give in and buy those !